I would like to sell your teas and put the time and effort into it, because honestly I love your teas and what I tasted, they are the best I can have. And I like to sell the best. And I like to work with you so much. So if you would have any idea, about what to do or maybe any kind of support you could give me... Every idea or every advice would be great help :-). 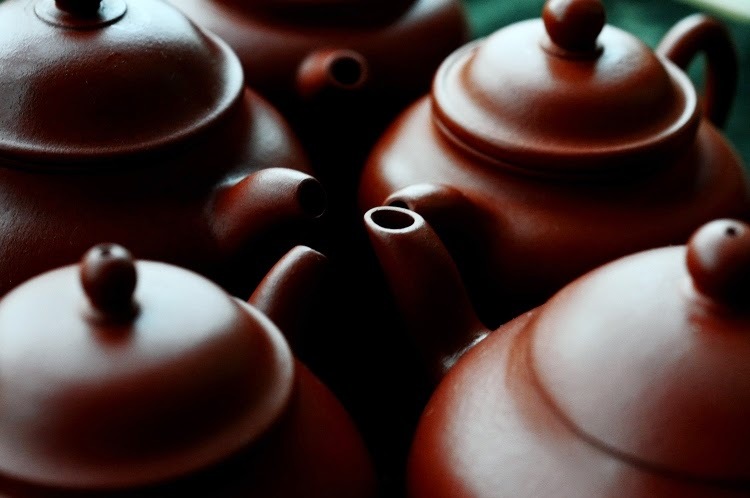 Quality becomes the focus when tea becomes a pleasure on its own rather than just another beverage. Low quality can be forgiven if it's a simple drink that offers a variation to water or coffee. However, low quality becomes unbearable once tea takes the center stage, especially if you have experienced better tea. That's why it's so important to educate, almost evangelize, people's taste with superior teas. So, continue to teach your customers. 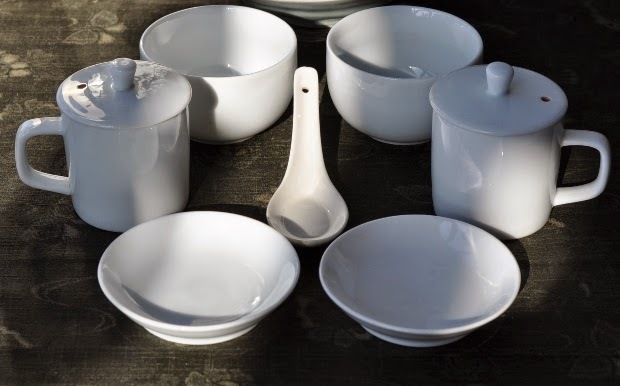 2 white porcelain competition sets. One for each tea. 3 grams of leaves. And 6 minutes of brewing with boiling water. 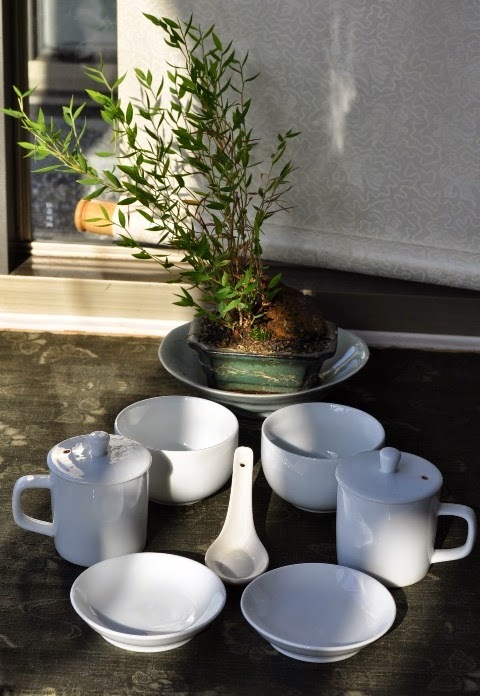 This is the standard for tea competitions in Taiwan. This single brew aims at extracting most flavors from the leaves. It's by far not the best way to brew tea, but it's one of the fastest and easiest way to get to know a tea and evaluate its quality. During tea classes with your customers, you should systematically make such duels between our tea and similar teas from the competition. People quickly tire if they hear the vendor say that his tea is the best. It's better to let them experience the difference for themselves. For a minimum cost/fee, you can make such duels happen. Think of some incentive for these side by side comparisons. And inform your customers about the possibility of making these duels. My other advice is that you continue to help teach your customers how to brew tea the best way possible. Show them that they can be inspired and creative with their Chaxi. Tea appeals to all our senses and we naturally strive for quality when we pursue the pleasures of real tea!